Discussion in 'The Lounge' started by X3pilot, Jun 26, 2012. Hey Slackers! And I say that with all due respect! Get up. A soggy today here in America's Trailer Park. I dislike Florida. But I'm vertical and moving so it's a good day. Yesterday I was in Norwalk videotaping a building that is connected to Northrop Grumman. Was not allowed to video Northrop, but will need to in the future. The lawyers need to sort things out first. Didn't do anything fun yesterday. I'll try and fix that today. Is this week over yet? I think I'm going to ask my boss if tomorrow can be my Friday. Happy Tuesday, ya bunch of crazies! Hot and polluted outside again. Looks like another day on the couch playing video games and drinking beer. Still raining. What a great start to Oregon Summer. 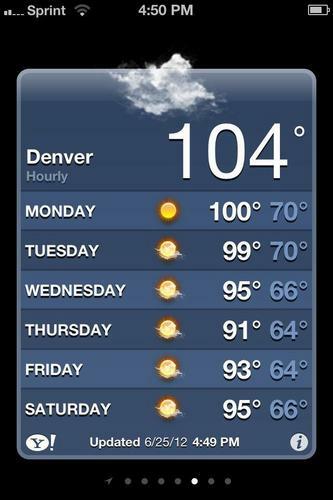 The rest of this week "should" be nice. I am riding in if it kills me, and it just might. Rain rain rain. Just discovered Amanda Blank. Like. Morning. You all sound like I feel. Just kind of blah! I'm hoping to fix that today too! I checked on the newly greenhoused garden this morning, and the growth since yesterday morning was shocking. I would estimate a roughly 50%+ additional growth to just about everything planted, even the plants that were struggling post hail damage. I am very much a fan of the greenhouse. No other plans. Yeah! Greenhouses are awesome! We had a small one set up inside by a window and also had lights in it! It was amazing how fast things would grow! They got too big for that little greenhouse pretty quickly! I'd have to imagine that if the incline was on fire they would have re-evacuated Manitou. Sounds like riding at Rampart might be out for a while though. Pre-evacuation orders went out in Teller County shortly after noon for part of Woodland Park. The order affects neighborhoods east of U.S. Highway 24 and Baldwin Street, which becomes Rampart Range Road and also is known as County Road 22. The pre-evacuation order includes Woodland Park High School, which had been an evacuation site early on in the fire. Neighborhoods affected include Country Ridge Estates, Forest Edge Estates, Forest Edge Park, Thunderbird Estates, Paradise Estates, Aspen Acres and Sunny Glen. This is not a mandatory evacuation but residents are urged to pack essential belongings and be prepared to evacuate. 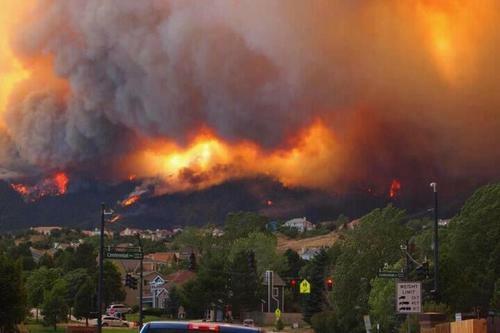 Sherl Decker, county administrator and PIO of the Sheriff for the Waldo Canyon Fire, said residents should monitor news media and offiical websites for more information. Yo kiddos. It's Tuesday. Why is it 103 degrees at the end of June? It's nice outside, I should be out there. It's often frowned upon when one is married. If only I had a nickel for every mom that told me that one, I'd have 6 nickels. No ProCycling Classic race on July 1st at Palmer Park. I just received the call from City Parks telling me that ALL City Parks are closed until further notice. 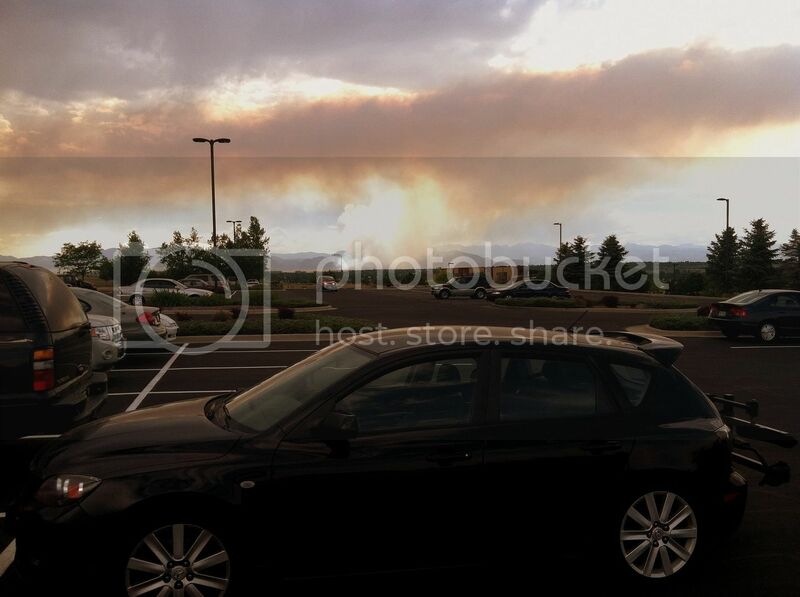 This is due to the Waldo Canyon Fire. We are working on a recheduled date for our July 1st ProCycling Classic at Palmer Park and should have that by the end of this week or early next week. I will have additional information on the www.sandcreeksports.com site and FB site tomorrow by mid-morning. I'm sure we can all agree that this is the best thing to do. Sh*t has hit the fan. Homes are burning on the west side now. Were getting falling ash in my hood. I hope that you stay away from the fires and stay safe! If you need a place to crash in Denver for a bit, please let me know. Thanks man! Were in the clear for right now, but the way things have been going I might hit you up on that later. Everything is still west of the freeway, but thats my worry line too. It crosses that and I'll start getting agitated. Just read on the local paper website that Ute Valley park is on fire. If that is true most of these homes might be gone. 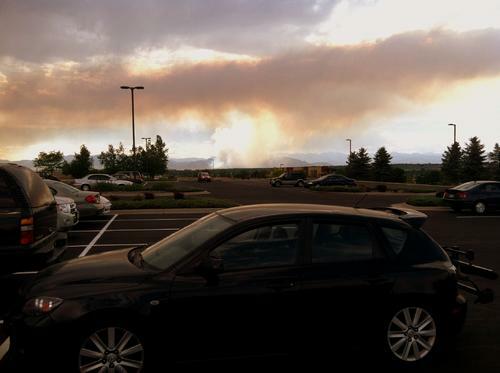 The view as I left work today was no good, that's looking right at Boulder. Looks like they got a couple new fires on either side of the Flatirons. No bueno. For the CO guys, looks like we won't be riding Walker Ranch anytime soon. The last big fire there was what, 2000 I remember reading? Lots of burned out dry timber for that fire to chew through. I was there two weeks ago for a couple laps, too bad - that was good for a quick after work haul. It's been a crazy day here, but nothing compares to the wildfires you're experiencing. The Air Force is evacuating the Academy. It was an Ibupropen sort of afternoon. Spent the day modifying the steel brackets in the back of the new ambulances to accomodate the larger diameter of Aluminum M O2 tanks vs steel ones. Had to rebend and reshape 8 cresent shaped brackets using wrenches and a mini sledge. It took me 2.5 hours but it worked out perfectly. I sent you an email, but the same here. We have an uninhabited floor, so feel free to make the call if you need it.